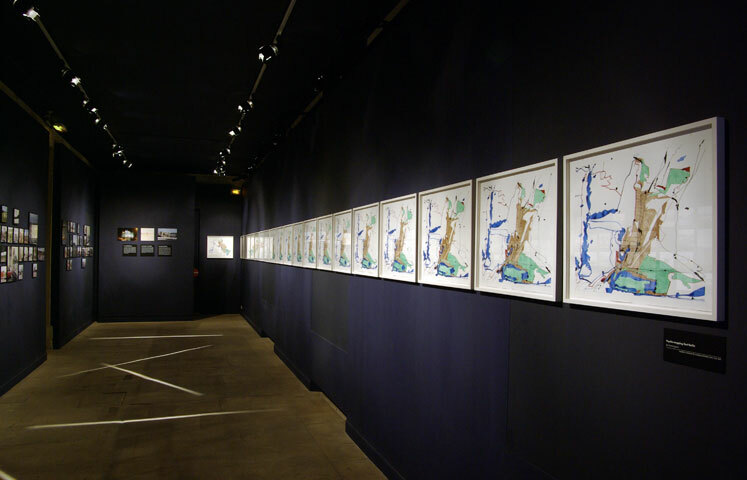 "Psycho-Mapping East Berlin"  Installation view from Musée de l'histoire contemporaine, Paris 2009. 20 drawings in coloured inks and pencils on paper, each 50x58,5 cm, 2009. Other installation view.